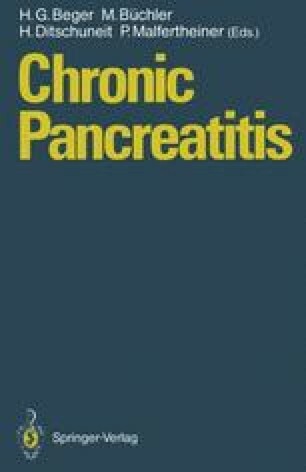 The causes of abdominal pain in chronic pancreatitis remain elusive. Possible causes include acute inflammation of the pancreas, increased intrapancreatic pressure within ducts and/or parenchyma, and neural inflammation. Possible extrapancreatic causes include common bile duct stenosis and duodenal stenosis.